A new staff member to the ROCB Europe has been assigned by the Ministry of Customs and Trade of the Republic of Turkey. Mr. Eser Çengel, a senior external relations expert on customs and trade joined the Office on 6 September 2017. 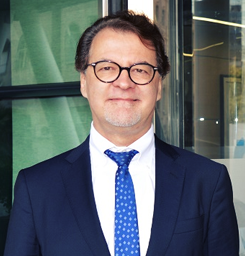 In his executive officer role, Mr. Çengel assumes responsibility on a variety of issues that the ROCB is performing its work on capacity building for World Customs Organization Europe Region including program management, activity planning, outreach and communications among other initiatives. Turkish Customs has been providing extensive support to the ROCB Europe since the establishment of the Office not only strategically but also in terms of human resources.